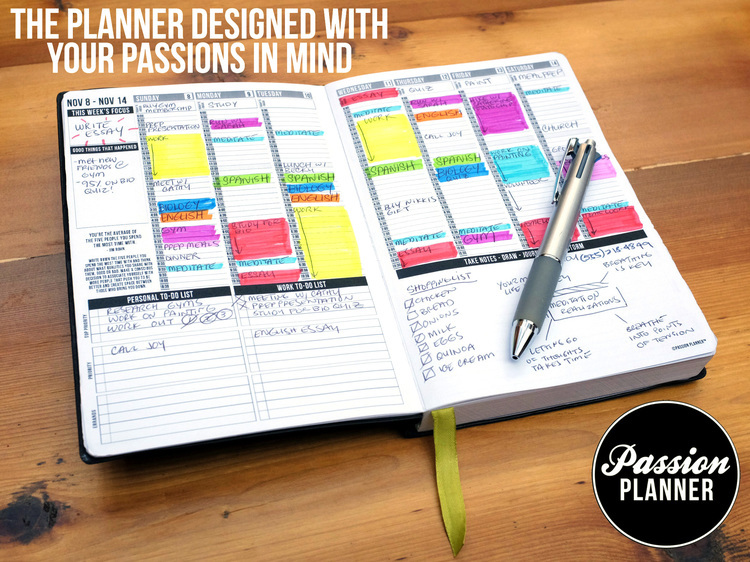 At the end of last week, I stumbled upon an awesome printable, The Passion Planner. You can read about what it is here. I think next year, should I continue using it…and I’m pretty sure I will as I am in LOVE; I will just buy the thing outright. Instead, this time, I sent the PDF download to the UPS store electronically so I wouldn’t have to waste our printer ink. I spent about $15 to do that since I had it printed double sided and triple-hole, hole-punched. Anyway, the whole idea behind the passion planner is to really think through what your passions are and then put actionable steps in place to see those passions come to fruition. You literally organize your thoughts and prioritize and then write in the daily columns your plan of attack. That’s really at the heart of what I’m doing this year. It started last year with the idea that you never outgrow what you love. Then I realized that I had a clear calling right in front of me with the work set before me in my family and home. Finally, I got serious and put some concrete goals and plans in place for 2015. My hope is that through good habits I can make some lasting changes. I only wish I’d had this in January! The good news is that I was somewhat following a similar system; mine just wasn’t as organized or clearly articulated on paper. Now, after spending several hours working through the first part of the planner…I am ready to keep the rest of this year and my personal goals moving right along. For example, one of my goals this year, is to finish and publish a book I have written. The Passion Planner is forcing me to break that goal down into manageable steps and deadlines. One of the very first exercises the planner takes you through is kind of a mind-mapping or webbing activity where you free write about what your goals are for your lifetime, for three years from now, one year from now and three months from now. I don’t know about you, but I don’t take the time very often to think about what I want the goal of my entire life to be. Obviously there’s the idea that I want my life to be defined by my faith. My family would be a close second on what’s important when it’s all said and done. I wrote the eulogy for my grandfather’s funeral in 2014 and really, the truth hit me that the life we live will one day be summed up in a few short paragraphs someone will read at our home-going. Our lives will live on in the legacy we leave (or don’t leave) behind. What kind of legacy do I hope to live/leave? As I began to examine and explore and express my ideas about life it dawned on me that my hope for the future could be defined by one word. I want to be known as a generous person. It only took me a few minutes to get that general idea and thought down on paper using the Passion Planner. By giving myself an end-goal in mind, I can now aim my actions and goals in that general direction. It feels like the intentions and trajectory of my plans now have a more clearly defined purpose. Knowing where I want to end up at the end of my life (and verbalizing it) allows me to think more realistically and logically about what the next five or three years looks like. It helps me focus (not waste) this year in working toward those ambitions. For all of the planning and scheming and strategizing I do, I am fully aware that the Lord leads and his plans and ways are greater than mine. Ultimately, I rest in that, I do. So what about you? Do you love a good planner? Do you set goals for yourself? Have you considered what your lifetime goal(s) would be? Is there one word that sums that up for you? I would love to hear your thoughts on the matter.